Rajamani rises from his humble beginnings as an autorickshaw driver to become one of the finest Malayalam film actors. However, his journey is cut short by his untimely death. The film was inspired by the real life of Kalabhavan Mani, and the central character Rajamani was based on his life. 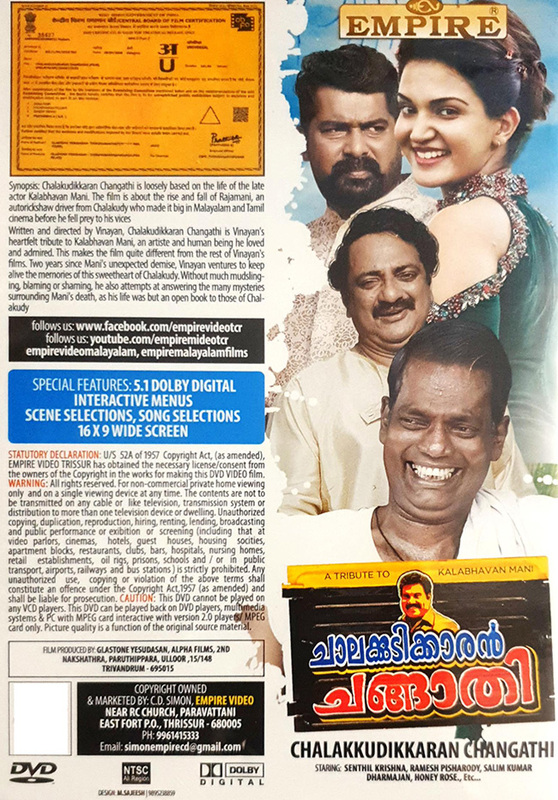 Chalakkudykkaran Changathy is a biographical drama that chronicles the life and the untimely death of actor Rajamani, who rose from his humble beginnings to become one of the most versatile artists in Malayalam cinema.